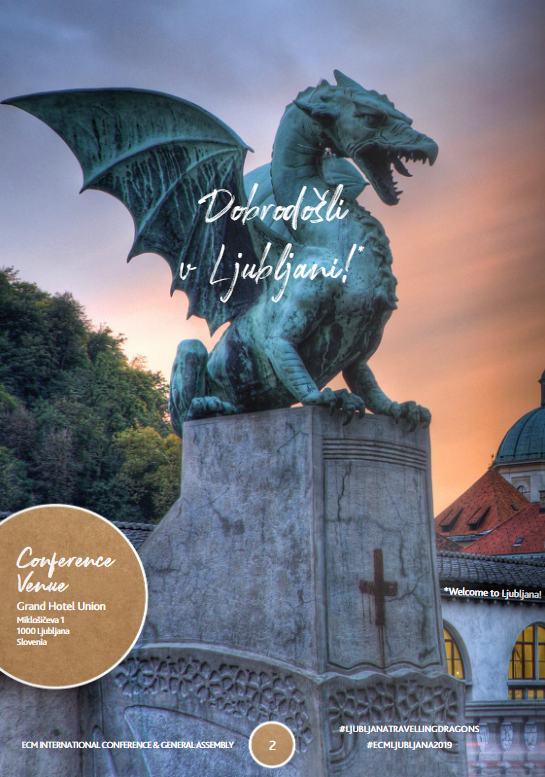 The latest ECM-MKG European Destinations Observatory report* points out that, in European cities, the Revenue Per Available Room (RevPAR)** experienced a 4.5% increase in the whole year 2018. The Occupancy Rate*** increased by 1 point and the Average Daily Rate (ADR)**** by 3%. Midscale and Upscale/Upper Upscale are on a dynamic trend with a RevPAR rose by 5.1% and 4% respectively compared to last year. Overall, a growth can be observed throughout Europe, especially in France, Benelux, Austria and Hungary. Belgium and Netherlands observed an increase in their hotel performances, (+8.5% and +6.5%) for their RevPAR. Brussels’ RevPAR rose by 11.7%, mostly thanks to a 4.6 pts increase in its Occupancy Rate. Ghent (+6.3%) is on a positive trend too. In this Benelux area, Luxembourg, knew a RevPAR increase (+3.1%), while Amsterdam after the organization of international business events, recorded a RevPAR increase of 5.2% and the third highest Occupancy Rate among this sample of cities. France only showed a growth (+7.3%) thanks to its strong touristic pole. Paris, knew a 3-point increase in Occupancy Rate, and a RevPAR rise of 11%. In the United Kingdom and Germany, the RevPAR is on a positive trend, respectively +2.1% and +2.7%. 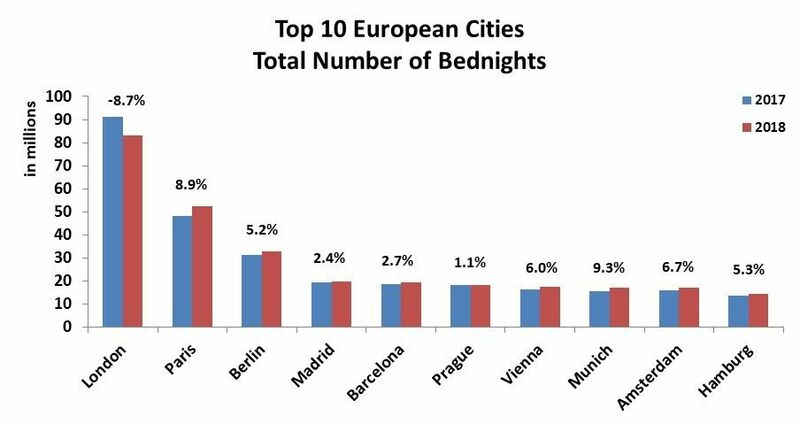 London (1st), Edinburgh (2nd), Liverpool (5th) and Hamburg (9th) are in the top 10 with the best Occupancy Rate in Europe. In Germany, some cities are, in spite of a strong business activity, on a downward trend (Düsseldorf, Cologne, Hamburg and Leipzig), while Nuremberg, Munich, Berlin and Stuttgart recorded a RevPAR increase of 15.4%, 8.6%, 8.5% and 3.6% respectively. Italy posts an increase in its RevPAR (+3.1%), this positive change can be explained by good results recorded in Bologna, Turin, or Milan. On the Iberian Peninsula, tourist arrivals continue to grow under the effect of their internal dynamics (improved economic context) and carryovers of visitors from Mediterranean destinations affected by different events since a few years but the business events (especially in Barcelona) are on a downward trend. Almost all cities in Spain (+1.5%) and Portugal (+3.4%) gained a RevPAR increase. Warsaw posted a slight RevPAR decrease (-2%) in spite of a rise in its Average Daily Rate (+1.7%). Budapest, thanks to its solid business activity this year, is counting a RevPAR increase of 10.7%. Vienna recorded a RevPAR increase (+5.8%) and Prague, which hosted many congresses and conferences, also noted a RevPAR improvement: this indicator evolved positively by 5.1%, the Average Daily Rate rose by +5.5% compared to 2017. 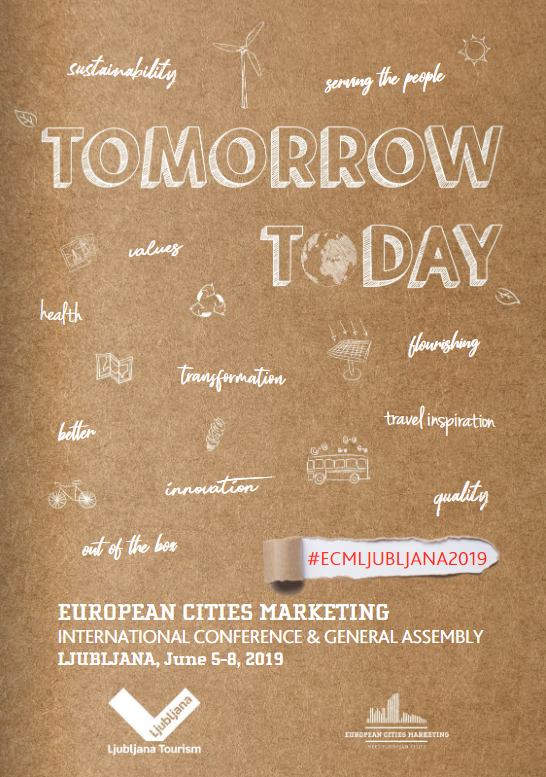 European Cities Marketing is a non-profit organisation improving the competitiveness and performance of leading cities of Europe by providing a platform for convention, leisure and city marketing professionals to exchange knowledge, best practice and widen their network to build new business. European Cities Marketing is promoting and linking the interests of members from more than 110 major cities in 38 countries. * OlaKala_host: Satisfaction surveys, eReputation, quality audit.